luxlow.com » Chopper Cruiser &amp; Lowrider Parts » Tires: Schwinn Cycle Truck Bicycle Tire Set Vintage Goodyear Pat. 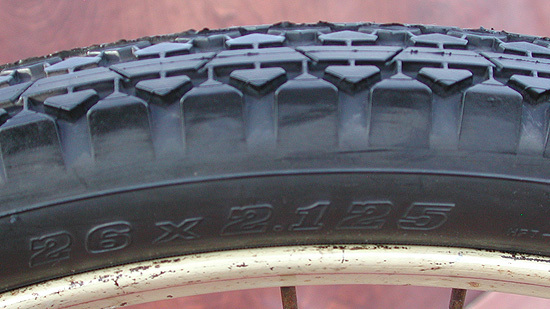 Set of Vintage Goodyear Pattern Bike Tires for a Antique Schwinn Cycle Truck. A Set of Import Reproductions of Classic Goodyear Pattern Ballooner Tires to Fit a CT Delivery Bike with choice of Whitewall or Black wall. You Get one 26"x2.125" tire and one 20"x2.125" tire, in your choice of Whitewall or Blackwall. 2 New Quality Rubber Bike Tires with the Vintage Goodyear Pattern. This Set of Import Reproduction Classic Goodyear Pattern Tires that are marked Duro with no Goodyear markings. Nice Ballooner Tire with a large Squarish Profile. 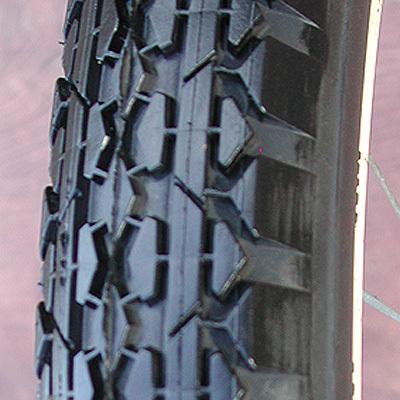 These tires are our favorite quality replacement tire for the Antique Goodyear G3 All Weather Bike Tire. Our Correct tire for Prewar Schwinn Ballooner Cycle Truck Bicycles and a Good Replacement for Postwar Cycle Trucks. Reliable Service and Quality, Perfect to Get your Antique Cycle Truck Back on the Road. You Get one 26"x2.125" tire and one 20"x2.125" tire, in your choice of Whitewall or Blackwall.